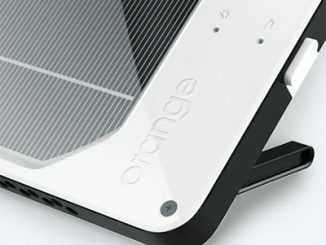 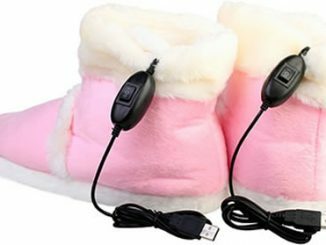 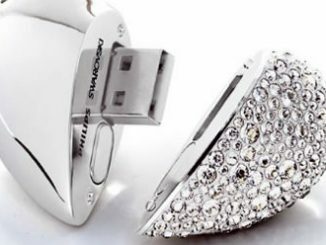 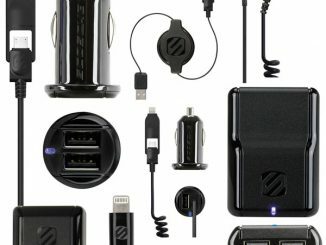 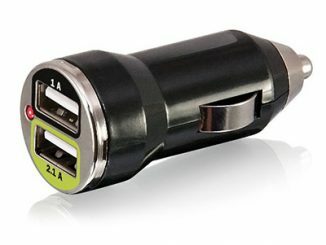 Are you always looking for a charger for your phone and other devices when you are on a road trip? 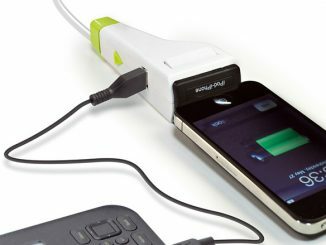 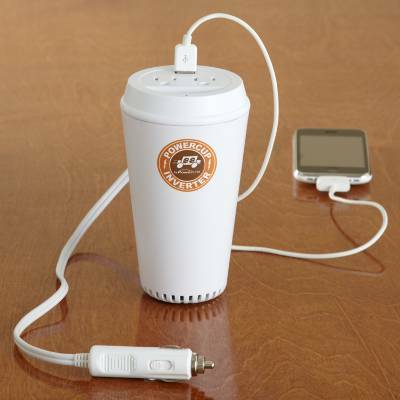 The Powercup Charger will solve that prolem. 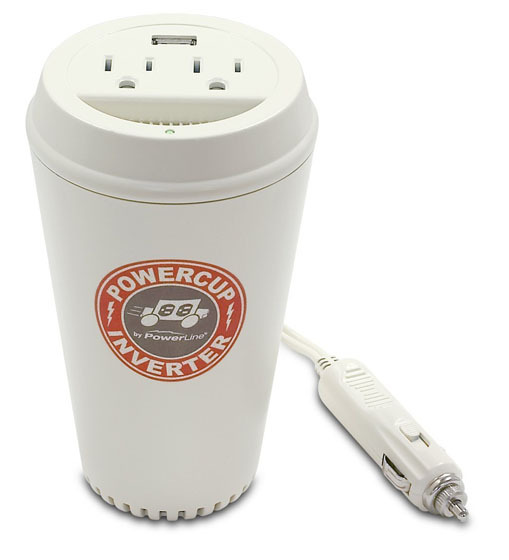 This power inverter fits nicely into a cup holder so you know where it is at all times. 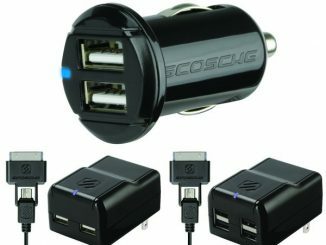 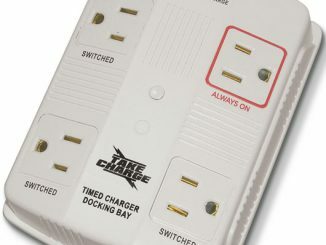 Simply plug it into your cars DC outlet and you are able to power 3 devices at once using the USB connection and 2 AC outlets. 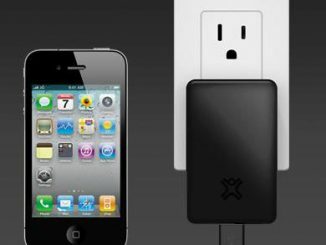 2 AC outlets for laptops, DVD players, phone chargers, camera chargers, etc. 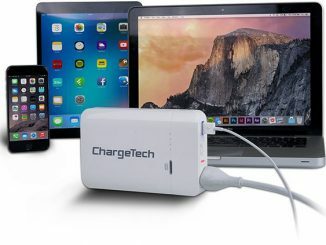 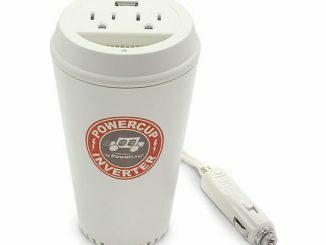 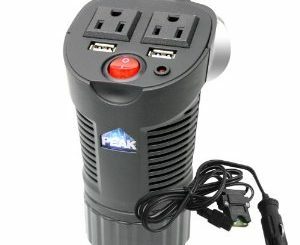 You can purchase the Powercup Charger at Amazon from $24.51 and at RedEnvelope for $39.95.